Okay, the WWE was already receiving its share of criticism for keeping their show in Saudi Arabia after the whole murder of a journalist scandal, but the millions of dollars the Saudis presented the WWE with won out in the end. Okay, fine. I was not going to be able to watch the show live, but I planned on watching it when I could. This feels like a perfect use of the WWE Network. I tried to avoid Twitter to keep away from spoilers, but I couldn’t do it and, when I saw what I saw, I was shocked. Brock Lesnar hits Braun Strowman with five F5s and regains the Universal Championship in 4 minutes. This was a shock because it seemed easy that the WWE was building Braun Strowman back up after an unwise heel turn, to be the man to finally take that championship. 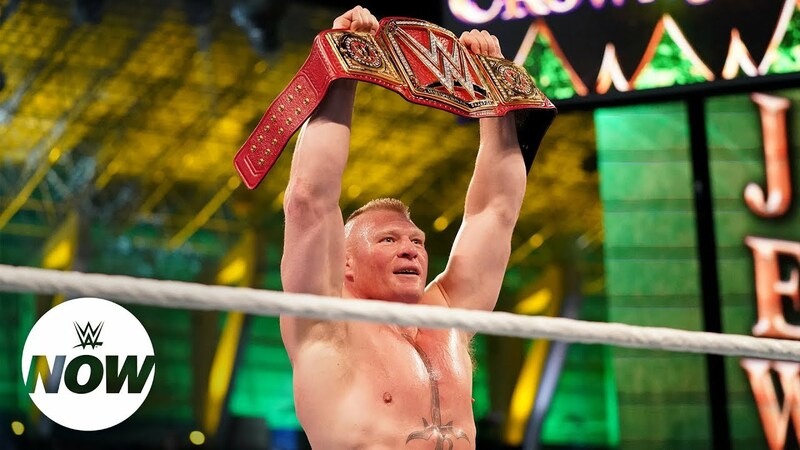 After such a long Lesnar reign where he was rarely seen on the show and couldn’t be bothered to defend the title every PPV, it was extremely unexpected that they would put the title back on him (no matter how awesome Paul Heyman is). By the way, how amazing is it to hear the Saudi crown chanting along with the Jewish Paul Heyman as he did his shtick? Fine. I’m not a big fan of the twist (which feels like they did it for just shock value) but I can see how this could help promote them in the future, especially if Lesnar confronts Daniel Cormier as the Universal Champion. However, the next spoiler was the one where I had to stop. I pulled up the WWE webpage to get to my network subscription and I saw the headline… “Shane McMahon replaces Miz in the finals of the Best in the World tournament. What reason could they POSSIBLY have for doing this other than giving a big FU to their fan base? This little tournament already had many wrestling fans complaining that there was not really the best wrestlers in the world involved, but why do we have the hot Miz faking an injury (I hope it was faked. If this is all a moment of improvisation, my complaints are lessened) and having the part time Shane McMahon winning it all? Fine, if Shane goes in, then Dolph Ziggler should be the winner. Nope. No Dolph. Then Shane runs around the ring with the cup like an idiot, as if he truly accomplished something. I won’t even bring up the super slow motion main event of D-Generation X vs. the Brothers of Destruction. 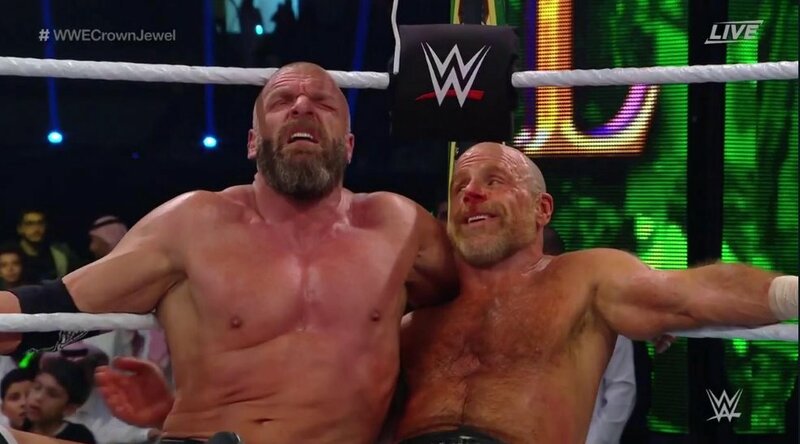 Apparently Triple H injured himself badly and will require surgery when he returns to the States. This is unfortunate news, but it should show him that he needs to stay in the border room and behind the scenes at NXT, where he is truly a superstar. None of this made any sense and could only serve to antagonize a fan base that was just coming off a high of a wonderful all-women’s PPV Evolution last week. This show, Crown Jewel, was one of the worst of the year and shows that the WWE really only is concerned with the money. Oh yeah…Hogan was there too. No wonder why John Cena and Daniel Bryan decided to skip the event.